Spring Write the Room is now available! 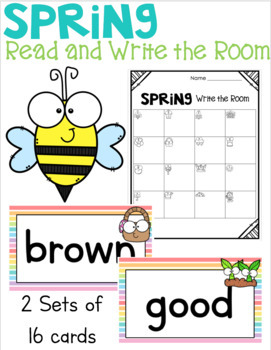 This resource includes two sets of sight words and one recording sheet for a total of 32 words. The recording sheet has 16 spaces for the words and each card has a picture that corresponds to the recording sheet. See the preview above to see the layout of the cards and recording sheet!